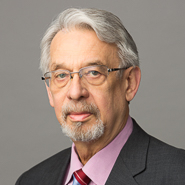 Partner Donald W. Rupert appointed as Vice Chair of the Litigation Committee of the Intellectual Property Law Association of Chicago (IPLAC) for the May 2010–May 2011 term. IPLAC is an active group of patent attorneys discussing trends in intellectual property law. The Litigation Committee of IPLAC primarily plans seminars on issues relating to intellectual property litigation. Mr. Rupert has been active on the Litigation, Antitrust, and Amicus committees for IPLAC. In 2009, he co-authored IPLAC’s amicus brief that was filed with the U.S. Supreme Court in the case of Bilski v. Doll.